2014 is halfway in the bag! How did I miss that? In this episode, I announce (officially) the Second Quarter 2014 Quilty Resolutions Check-in Giveaway and Linky party. It's on my blog--click here for the actual post with the Rafflecopter giveaway and linky party. (The deadline is next Saturday.) I also give a Sandy update, and then talk about my own quilty resolutions and what staying focused has helped me to achieve so far this year. In this episode, I start with another in the "12 mistakes to learn from" series of 2014; then we move on to announce a newcomer in the podcasting world (woot! ), give an app review, talk about luminosity in quilts, and some yummy yummy thread I've been using lately. Find Ms. Lottie's new podcast here: The Slightly Mad Quilt Lady on iTunes or direct from Podbean. 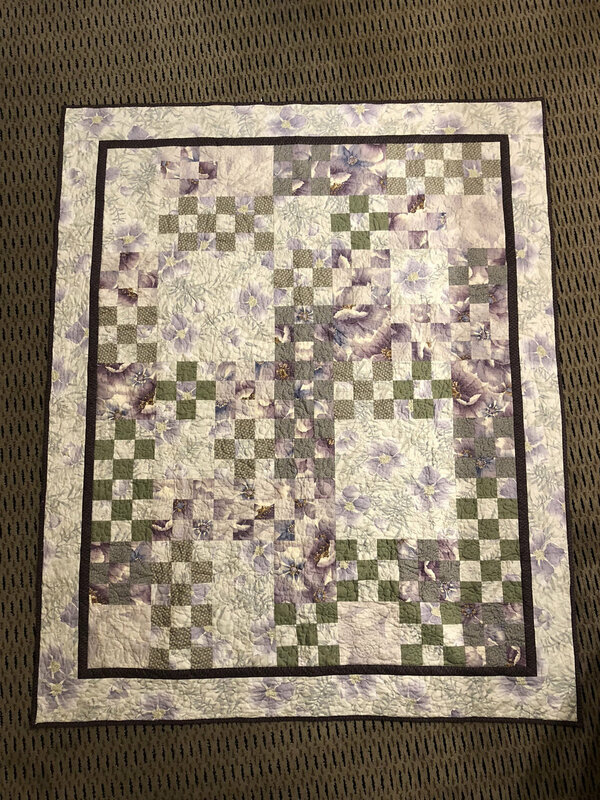 Check out Jinny Beyer's Borealis quilt. Superior Thread's website is here. In this episode I talk about an extraordinarily productive weekend! Leaving for Lancaster on Tuesday makes a great deadline for me to get a lot done. 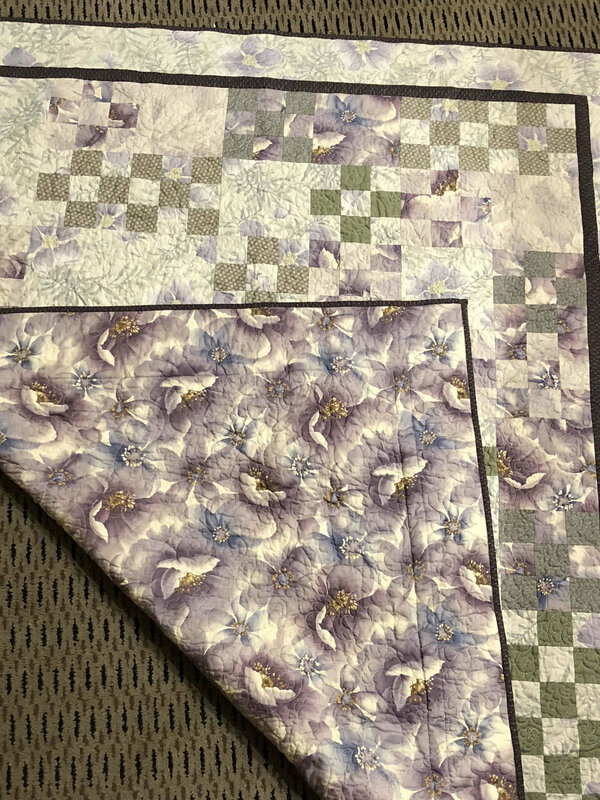 I talk about my Disappearing Pinwheel, my Scrapitude quilt, some more work on the postcard, and getting class supplies and cutting done for Lancaster. And, of course, a little listener feedback. 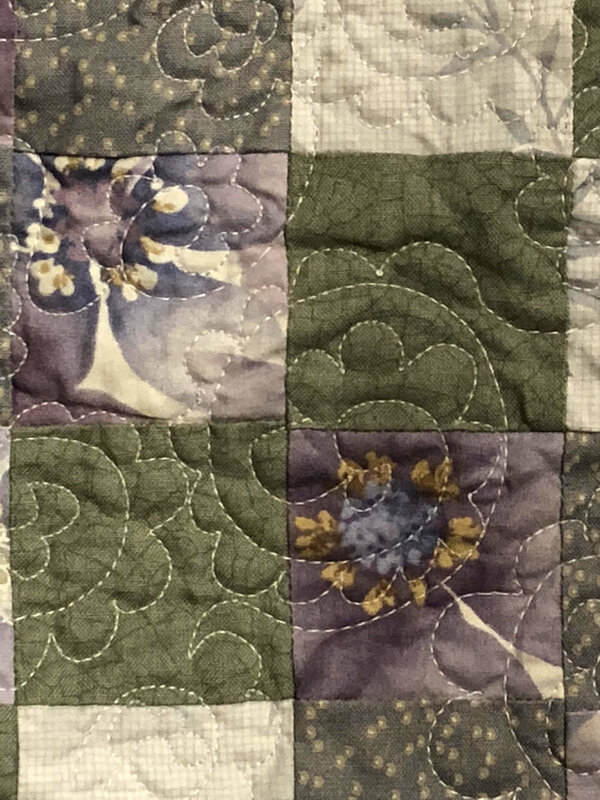 In this episode, I announce the 2014 Quilty Resolution First Quarter Check-in, then talk about Scrapitude, spa-days, and the Shape-Cut ruler. I also give a brief review of the Great Courses lecture series "How Colors Affect You: What Science Reveals" (which I mistakenly referred to as "The Science of Color" in the episode), and talk about three fitness-related apps: FitBolt, EarnedIt, and Every Move. In this episode, I've actually gotten some stuff done! I talk about what I've accomplished recently and how I'm setting myself up for success in achieving my goals in 2014. There's also a few recommendations and reviews. Here's the link to submit your 2014 Quilty Resolutions--but be sure you've listened to the episode first to hear the parameters for this year! And here's what one lucky entrant randomly drawn will win! Five (count 'em, 1-2-3-4-5!) fat quarters! In my opinion, these would make a great purse. And if someone wanted to make said purse and then gift it to one of their favorite podcasters whose podcast's acronym is QFTRU, that would not be frowned upon. Tee hee. So fill out your quilty resolutions using the link above, and have your name entered in the drawing for this great fabricy goodness! Honey, I'm home! 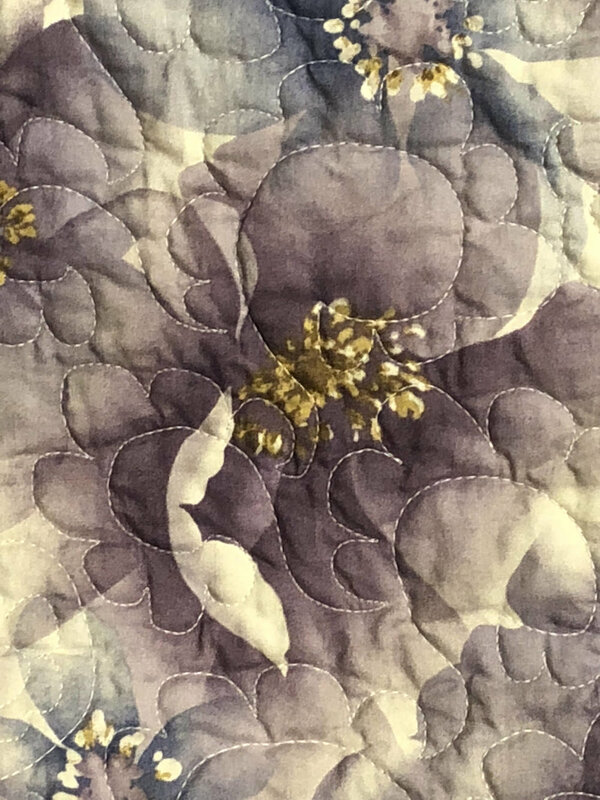 I'm back from AQS QuiltWeek in Paducah, KY, and lived to tell about it. More or less. In this episode, I describe my experiences in Paducah, including a meet-up with a listener, scalping tickets to a class, and a conversation with a very nice police officer. Oh, and quilts. Plus I announce the winners of my 3rd Podcastaversary Giveaway, and what's up for the next episode! Thanks for listening! In this episode, I announce the new Project Hope Online Quilt Show that Sandi Colwell of QuiltCabanaCorner and I are co-hosting; I also let you know about a new-to-me app and what's going on in my life, as well as giving a little preview of my trip to AQS QuiltWeek at Paducah tomorrow.